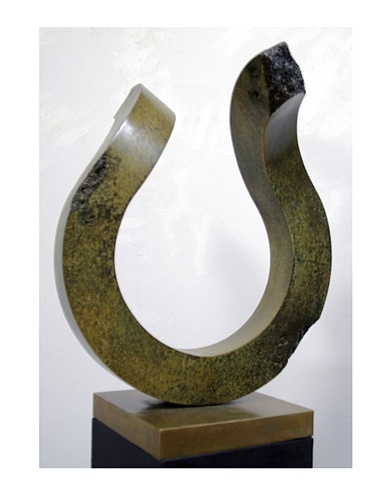 Delos Van Earl Studios - "Celtic Interlude"
A beautiful green patina on this graceful piece, with Delos' notable "fractures" in the bronze on a gold bronze base. The piece is fabricated, not cast, and is unique. 1 of 1.